The Bugatti Veyron's statistics are mind-boggling: 0-60mph in 2.5 seconds; a top speed of 253 mph; tyres that cost GBP20,000 a set and an engine with ten radiators and four turbos; a launch control system taken from F1 and even windscreen wipers that create sizeable downforce ... all delivered complete with a high-end stereo system, luxurious leather seats and air-conditioning. It was a feat of engineering grandiosity that, in automotive terms, rivals the achievements of the great 19th Century industrialists. In A Quest for Perfection, no. 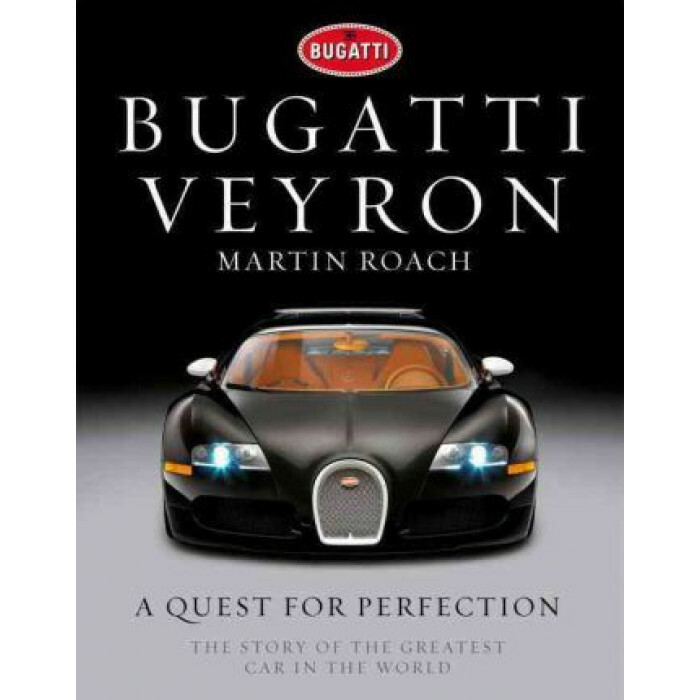 1 bestselling author Martin Roach sets out to track down the mythical beast that is a Bugatti Veyron - and ultimately attempts to drive one. He traces the genesis of this remarkable machine through Bugatti's long and glorious early days and then through its more turbulent modern era. Travelling to the top secret Bugatti Research & Development workshop in Germany, touring the factory and chateau in France where these stunning cars are hand-built, interviewing famous engineers, super-rich owners and automotive presidents, as well as a host of other expert eye-witnesses to this unique car's many achievements, Roach ponders this mechanical whirlwind and in so doing has written a page-turning study of a modern masterpiece. Bugatti Veyron: A Quest for Perfection discovers and unravels the enigma that is this remarkable car. Part-history, part-personal obsession, part-travelogue, part-humorous quest, altogether a book that will appeal to both fans of cars, and serious petrol-heads, Top Gear viewers as well as anyone who has ever raised an eyebrow as a shiny piece of metal on four wheels drives past in the street. For the first time, Bugatti has allowed access to the Veyron's Chief Engineer, designers, test drivers, archivists, the Bugatti factory, photographers and the President of Bugatti himself.